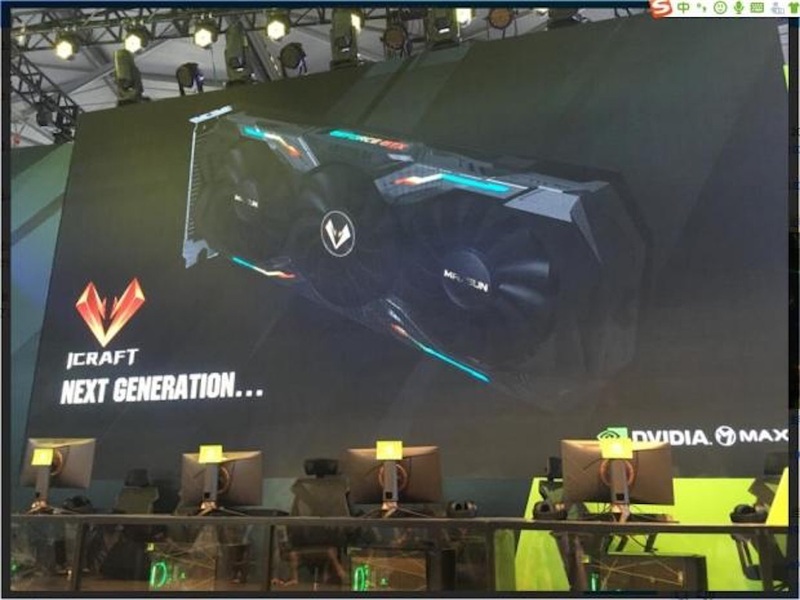 Now we have Maxsun unveiling their new GeForce GTX 2080 iCraft at the recent ChinaJoy event, with the new card being part of Maxsun's high-end product line. The card is a thin dual-slot card with RGB strips along the front of the card and in the GeForce GTX branding on the top of the card. Maxsun's GeForce GTX 2080 iCraft doesn't have a DVI port with one slot of the bracket dedicated to exhausting heat, while there's a single 8-pin PCIe power connector. I'm expecting the new cards to use a single 8-pin PCIe power connector thanks to the new 12nm node and what I'm sure NVIDIA will unveil as massive power efficiency through the refreshed Turing GPU architecture.